Pooki’s Mahi’s 100% Kona coffee pods and 100% Hawaiian coffee single serve pods launched on a separate platform to manage orders, creative assets and fulfillment for custom promotional products and private label Kona coffee customers. Pooki’s Mahi’s solution for Kona coffee custom promotional products and private label Kona pods in sustainable packaging with low minimum requirements and an efficient supply chain makes it easier for customers to design and check out. Silicon Valley etailer startup of environmentally friendly 100% Kona coffee pods for Kona coffee pods brewers announced the much anticipated custom promotional products and private label coffee is out of pilot / beta and launched on a separate platform. Pooki’s Mahi’s Kona coffee custom promotional products platform will handle the end-to-end design for all the approved bill of material components for custom Kona coffee pods. Pooki’s Mahi took a consumer approach to solving a business-to-business (B2B) challenge. 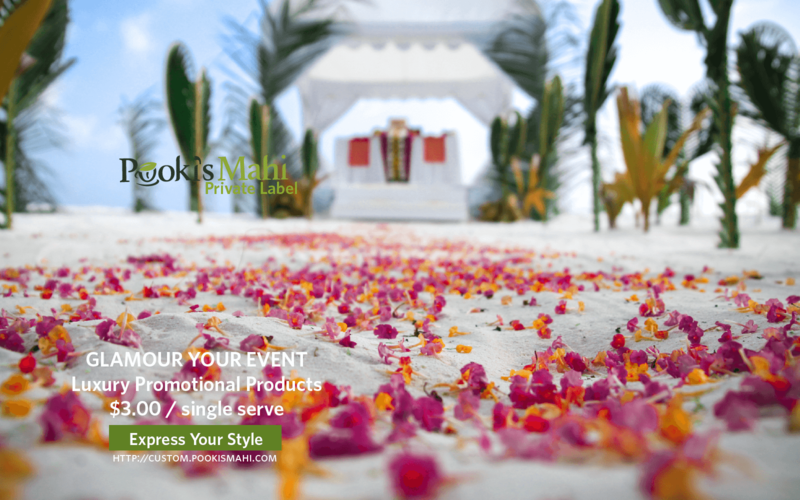 Pooki’s Mahi’s custom promotional products and private label platform has been in pilot for over two years. Pooki’s Mahi’s Founder/CEO Les Magsalay-Zeller utilized high tech development processes to develop/code, design and incorporate feedback from multiple dry runs with select customers. Pooki’s Mahi’s custom promotional products and private label platform is integrated into Pooki’s Mahi’s corporate systems that manage fulfillment, supply chain and distribution centers. 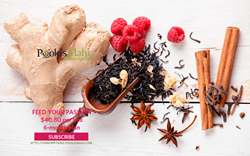 Systems from approved distributors selling Pooki’s Mahi’s custom promotional products and private label coffee pods are integrated to the enterprise platform for demand planning, forecasting and supply chain management. Pooki’s Mahi offers three pricing tiers for Kona coffee custom promotional products and private label Kona coffee pods. 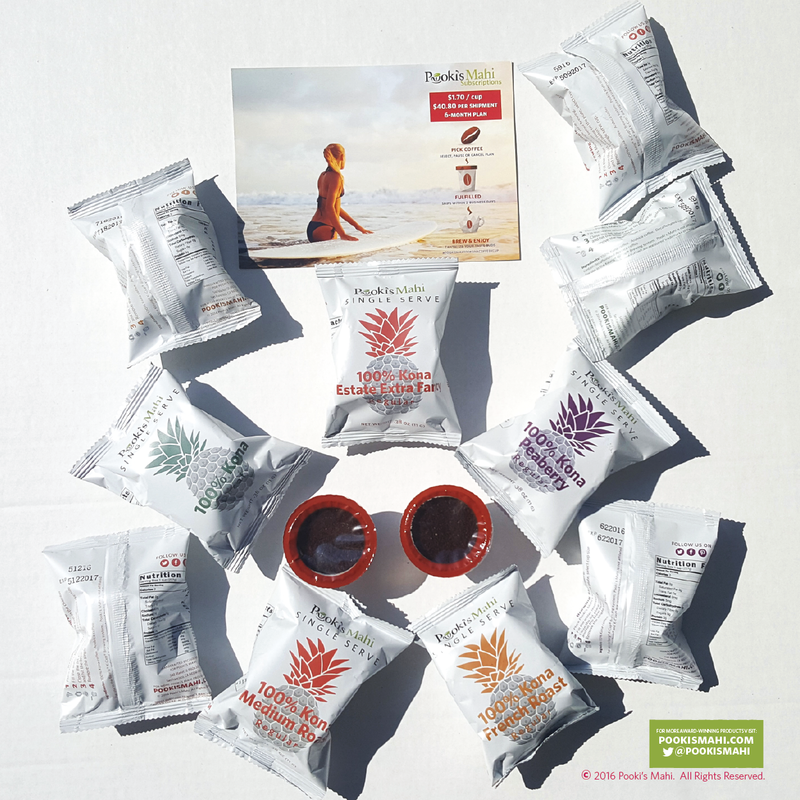 Pooki’s Mahi’s 100% Kona coffee pods works in single serve coffee maker brewers. Transparent pricing with low minimums at 2460 pods. Significantly lower pricing for military and non-profit custom promotional products customers. Efficient supply chain with a lead-time between two to four weeks. Kona coffee pods made from 100% Kona coffees harvested and roasted in Hawaii. Individually wrapped sustainable Kona coffee pods with expiration date and LOT code. One price for 100% Kona coffee, pouch, single serve coffee pods production, and shipping. Packaging include in custom order. For use in the single serve coffee maker brewer systems. Pooki's Mahi, The PMO Practice and Matcha Matcha Man are trademarks of Pooki's Mahi.